Bio: Coming from Romania, Adrian Niculae a.k.a. Priku established himself as a hard working and passionate music creator. He is a member of Sunrise booking since 2007, making his way up to the big gigs through many noticeable Sunwaves performances. He released on labels such as [a:rpia:r], All Inn, Fabric, Concrete Music and Only 300 Family, his name is also on Cocoon Green & Blue 2011 and Cocoon Heroes compilations. Party people had the chance to enjoy his sounds at Robert Johnson, Amnesia, Kazantip Festival, Tenax, Concrete and all across Europe. In 2012, Bobohalma Ep was released on [a:rpia:r] label. This was a resounding success, highly appreciated by everybody who had the chance to listen it. BIO: Craving for the ultimate expression of utter excitement in electronic music, VincentIulian searches the depths of jazz and the limits of classic wavy touches to create the sounds only one who has a passion for electronic music can. The interleaving of genres expands up to the real life, as VincentIulian blends together the life of a future engineer with the passion for music. 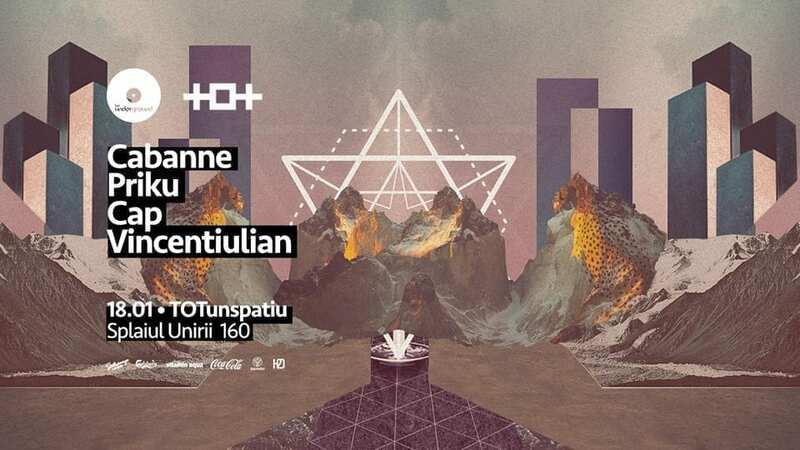 As an IT engineer with an ear for each and every twisting note of a sound, VincentIulian stands for what a producer’s work should be about: listening carefully and acting innovative, so that DJs like Onur Ozer, Vera, Barac, Petre Inspirescu, Praslea, Cezar, Priku and many others, merge into the same feeling and play the tracks with the same enthusiasm. Following his moves in the studio the past few years with releases on imprints like Metereze, Moment, Naural and Funhaus.